Plaintiff, (collectively “Plaintiffs”), bring this action against Defendants, and challenges the legality of what transpired between the them and their Original Lender and Loan Servicer WASHINGTON MUTUAL BANK, FA, (hereinafter “WAMU”); Loan Servicer and Trust Beneficiary by the Assignment JPMORGAN CHASE BANK, N.A. ; and Foreclosing Trustee QUALITY LOAN SERVICE CORPORATION, (collectively “Lender Defendants”) handling of their loan/mortgage file. This action arises of out the current economic crisis that has hit the nation and continues to destroy homeowners’ ability to maintain their properties. The failure and unraveling of the real estate market has caused a rush of foreclosures on properties all over the country by banks and mortgage servicing companies, such as Defendants. As the foreclosure crisis continues, it has become clear that in their efforts to foreclose on as many properties as quickly as possible lenders and servicers have been taking action outside the law. The extent of the crisis and the clear need for action has once more been highlighted by the recent national mortgage settlement. This case is yet another example of those in the mortgage and foreclosure industry engaging in wrongful, illegal, and permanently damaging activities against homeowners. The transactions and events which are the subject matter of this complaint all occurred within the County of San Bernardino, State of California. The property is located at———————————————-, in the County of San Bernardino, California. Jurisdiction of this Court over the instant controversy is based upon California Code of Civil Procedure Section 88. Venue is properly placed in San Bernardino County, California, pursuant to California Code of Civil Procedure Section 392, because this action results from a dispute over a mortgage on real property located in San Bernardino County. In addition, this action arises out of an offer or provision of a loan intended primarily for personal family use in San Bernardino County, and the acts alleged in this complaint occurred in San Bernardino County. This Court has personal jurisdiction over the parties as all Defendants engage in a business within the State of California and San Bernardino County. Defendants, and each of them, regularly engage in business in the State of California, County of San Bernardino and regularly provide mortgage loans and related services to residents in the State of California, County of San Bernardino who wish to obtain a mortgage loan, and who contact or are contacted by a loan officer for assistance in obtaining the necessary financing. – (hereinafter referred to as “Subject Property” and/or “The Property”). (hereinafter referred to as “Plaintiffs”) at all times relevant has been resident of the County of San Bernardino, State of California and are owners of Real Property, including but not limited to the property at issue herein, the Subject Property. Plaintiffs are informed and believe and based thereon allege that Defendant, JPMORGAN CHASE BANK, N.A., (hereinafter referred to as “JPMORGAN”) is a national banking association, with its principal place of business in Columbus, Ohio. On information and belief and at all times mentioned in this Complaint was engaged in business as a bank and/or servicer of mortgage loans in the County of San Bernardino, State of California, including Plaintiffs’ loan file, Note and DOT. Plaintiffs are informed and believe and based thereon allege that Defendant, QUALITY LOAN SERVICE CORPORATION, (hereinafter referred to as “QUALITY”), is a California corporation, with its principal place of business in San Diego, California. On information and belief and at all times mentioned in this Complaint was engaged in the business of title insurance, banking services, including foreclosure, and acting as trustee for banks, mortgage holders and lien holders in the county of San Bernardino, State of California, including Plaintiffs’ loan file, Note and DOT. Plaintiffs are informed and believe and based thereon allege that Defendant, BRECKENRIDGE PROPERTY FUND 2015, LLC, (hereinafter referred to as “BRECKENRIDGE”) is a California limited liability corporation, with its principal place of business in Redondo Beach, California. On information and belief and at all times mentioned in this complaint was engaged in the business of purchasing properties at the foreclosure sales in the County of San Bernardino, State of California, including Plaintiff’s property. Plaintiffs are ignorant of the true names and capacities of Defendants sued herein as DOES 1 through 50, inclusive, and therefore sues these Defendants by such fictitious names and all persons unknown claiming any legal or equitable right, title, estate, lien, or interest in the property described in this complaint adverse to Plaintiffs’ title, or any cloud on Plaintiffs’ title thereto. Plaintiffs will amend this complaint to allege their true names and capacities when ascertained. Defendants sued herein as DOES 1 through 50 are contractually, strictly, negligently, intentionally, vicariously liable and or otherwise legally responsible in some manner for each and every act, omission, obligation, event or happening set forth in this complaint, and that each of said fictitiously named Defendants is indebted to Plaintiff as hereinafter alleged. The use of the term “Defendants” in any of the allegations in this complaint, unless specifically otherwise set forth, is intended to include and charge both jointly and severely, not only named Defendants, but all Defendants designated as well. Plaintiffs are informed and believe and thereon allege that, at all times mentioned herein, Defendants were agents, servants, employees, alter egos, superiors, successors in interest, joint venturers and/ or Co-Conspirators of each of their Co-Defendants and in doing the things herein after mentioned, or acting within the course and scope of their authority of such agents, servants, employees, alter egos, superiors, successors in interest, joint venturers and/ or Co-Conspirators with the permission and consent of their Co-Defendants and, consequently, each Defendant named herein, and those Defendants named herein as DOES 1 through 50, inclusive, are jointly and severally liable to the Plaintiffs for the damages and harm sustained as a result of their wrongful conduct. Defendants, and each of them, aided and abetted, encouraged, and rendered substantial assistance to the other Defendants in breaching their obligations to Plaintiffs, as alleged herein. In taking action, as alleged herein, to aid and abet and substantially assist the commissions of these wrongful acts and other wrongdoings complained of, each of the Defendants acted with an awareness of its primary wrongdoing and realized that its conduct would substantially assist the accomplishment of the wrongful conduct, wrongful goals, and wrongdoing. Defendants, and each of them, knowingly and willfully conspired, engaged in a common enterprise, and engaged in a common course of conduct to accomplish the wrongs complained of herein. The purpose and effect of the conspiracy, common enterprise, and common course of conduct complained of was, inter alia, to financially benefit Defendants at the expense of the Plaintiffs by engaging in fraudulent activities. Defendants accomplished their conspiracy, common enterprise, and common course of conduct by misrepresenting and concealing material information regarding the servicing of loans, and by taking steps and making statements in furtherance of their wrongdoing as specified herein. Each Defendant was a direct, necessary and substantial participant in the conspiracy, common enterprise and common course of conduct complained of herein, and was aware of its overall contribution to and furtherance thereof. Defendants’ wrongful acts include, inter alia, all of the acts that each of them are alleged to have committed in furtherance of the wrongful conduct of complained of herein. Any applicable statutes of limitations have been tolled by the Defendants’ continuing, knowing, and active concealment of the facts alleged herein. Despite exercising reasonable diligence, Plaintiffs could not have discovered, did not discover, and was prevented from discovering, the wrongdoing complained of herein. In the alternative, Defendants should be estopped from relying on any statutes of limitations. Defendants have been under a continuing duty to disclose the true character, nature, and quality of their financial services and debt collection practices. Defendants owed to the Plaintiff an affirmative duty of full and fair disclosure, but knowingly failed to honor and discharge such duty. Plaintiffs incorporate by reference the allegations set forth in paragraphs 1 through 23 as though set forth fully herein. Plaintiffs lost their home through foreclosure process initiated and advanced by Lender Defendants in violation of the notice and standing requirements of California foreclosure law, and they are now facing the pending eviction from their home. Plaintiffs executed a series of documents, including but not limited to a Promissory Note, (“Note”) and Deed of Trust, (“DOT”), securing the Property in the amount of Note, (See Exhibit “A” attached hereto and incorporated by reference as though set out fully herein). On or about April 7, 2004, (hereinafter referred to as “Closing Date”), Plaintiffs entered into a consumer credit transaction with WAMU by obtaining a $126,700.00 home mortgage loan secured by the Property. This Note was secured by the DOT on the Property in favor of WAMU. In 2008, the WAMU entered into receivership with the FEDERAL DEPOSIT INSURANCE COMPANY, (“FDIC”) and JPMORGAN acquired certain assets of WAMU’s assets. Since then, JPMORGAN was servicer for the Plaintiffs’ mortgage loan. The challenged foreclosure process is based upon the recordation of the Notice of Default and Election to Sell, (“NOD”) in the Recorder’s Office of the San Bernardino County, on or about August 13, 2010, (See Exhibit “B” attached hereto and incorporated by reference as though set out fully herein). According to the records, the NOD was issued on or about August 13, 2010, by Defendant’s QUALITY “Agent”, the LSI TITLE COMPANY, (hereinafter referred to as “LSI TITLE”). Furthermore Plaintiffs allege that that no one contacted them in any manner whatsoever in accordance with the mandated language set forth in Section “22” of the DOT, prior to the recordation of the aforementioned NOD. Plaintiffs contend that the language contained in Section “22” of the DOT was drafted by WAMU, that the language contain in said Section “22” is mandatory and constituted a condition precedent to the acceleration of Plaintiffs’ loan. Plaintiffs further allege that because Defendants, and each of them, failed to perform a condition precedent to the recordation of the NOD, that the NOD is VOID as violation of Civil Code Section 2924. Plaintiff alleges that the failure of Defendants and each of them, to comply with the terms of Section “22” of the DOT constitutes a material breach by Defendants, and each of them, of a magnitude sufficient to VOID the recordation of the NOD. Civil Code Section 2924 et seq. According the San Bernardino County Recorder’s Office, the Substitution of Trustee, (“SOT”) was recorded on or about October 4, 2010, (See Exhibit “C” attached hereto and incorporated by reference as though set out fully herein). The SOT was not received by the Plaintiffs, in accordance of the California Civil Code Sections 2934 and 2924(b). The SOT was executed by ISMETA DUMANJIC as an Unauthorized JMPORGAN’s employee on or about September 16, 2010. Thereafter, according the records on the San Bernardino County Office the Notice of Trustee’s Sale, (“NOTS”) was recorded on or November 12, 2010, and posted to the property couple days before the sale, set for December 6, 2010, (See Exhibit “D” attached hereto and incorporated by reference as though set out fully herein). The NOTS was executed by RONALD ALOZNO, as Authorized Agent for Defendant QUALITY, on or about November 5, 2010. Plaintiffs, in order not to lose their home had no other recourse but to file for Bankruptcy protection under chapter 13, to postpone the looming trustee sale. The Bankruptcy Petition was filed on or about December 3, 2010, under the Bankruptcy Case Number 10-48986. On or about December 9, 2010, second NOTS was recorded in the records of the San Bernardino County Office, (See Exhibit “E” attached hereto and incorporated by reference as though set out fully herein). The trustee’s sale set for January 5, 2011, was postponed due the pendency of the Chapter 13 under under the Bankruptcy Case Number 10-48986. Second NOTS was also executed by RONALD ALOZNO, as Authorized Agent for Defendant QUALITY, on or about December 6, 2010. The Bankruptcy Case Number 10-48986 was dismissed in January, 2011. On or about January 12, 2011, third NOTS was recorded in the records of the San Bernardino County Office, (See Exhibit “F” attached hereto and incorporated by reference as though set out fully herein). Defendant QUALITY, on or about January 10, 2011, and the sale was set for February 3, 2011. On or about January 25, 2011, Defendants filed their second Bankruptcy Petition under Case Number 11-12557. Thereafter they started making the post-petition mortgage payments directly to Defendant JPMORGAN. First post-petition payment was made in February 2011. The Chapter 13 under Case Number 11-12557 was confirmed on or about April 26, 2011, and in the plan was include the defaulted amount on the mortgage loan serviced by JPMORGAN, which was secured by the Subject Property, in this instant case. Plaintiffs made all payments towards the default amount claimed by the JPMORGAN and pursuant to the Chapter 13 plan, through the Bankruptcy Proceeding’s Trustee, in the amount of $17,395.20. On or about April 2, 2015, the Bankruptcy Proceeding’s Trustee issued the Report of Receipts and Disbursements, showing that JPMORGAN was paid amount of $17,395.20, the 100% of the default amount claimed by the JPMORGAN, (See Exhibit “G” attached hereto and incorporated by reference as though set out fully herein). Furthermore, Plaintiffs continue making the post-petition payments directly to the JPMORGAN in the amount of $895.60, since February 2011 until the October 2015. According to the Recorder’s Office San Bernardino County Office, on or about August 12, 2013, Defendant JPMORGAN recorded the Corporate Assignment of Deed of Trust, (“ADOT”), (See Exhibit “H” attached hereto and incorporated by reference as though set out fully herein), transferring its Beneficiary interest under Plaintiffs’ Note and DOT, to itself, that operated to prefect the Lenders/Beneficiary interest in the property of the Plaintiffs during the pendency of the Chapter 13 proceeding. The Bankruptcy Case Number 11-12557 was dismissed on or about September 18, 2015. Plaintiffs continue making post-petition payments to Defendant JPMORGAN in the amount of $895.60, and the payments were accepted by the Defendant. On or about October 15, 2015, Defendant QUALITY, recorded fourth NOTS, (See Exhibit “I” attached hereto and incorporated by reference as though set out fully herein). Fourth NOTS was executed by DAISY RIOS, as Authorized Agent for Defendant QUALITY, on or about October 13, 2015, and the sale of the Subject Property for November 13, 2015. On or about October 29, 2015, the QUALITY was contacted, in efforts to obtain the information regarding the sale of the Subject Property, and to put QUALITY on notice that Plaintiffs were not in default, pursuant to NOD recorded back in 2010, (See Exhibit “B”), and that they are current pursuant all payments made through Bankruptcy Chapter 13 proceedings and post-petition payments as of February 2011. 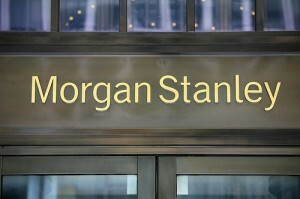 The Plaintiffs were advised to contact JPMORGAN directly and get the information from them. On or about October 29, 2015, the JPMORGAN was contacted, and Plaintiffs were requested same information regarding their property, and were told that $17,900.00 in missed payments and foreclosure fees need to be paid to have account current. Plaintiffs requested the explanation whereabouts of their payments made in same amount through Bankruptcy proceedings, and all post-petition payments made since February 2011 un to date, the Plaintiffs were referred to talk to Defendant QUALITY. On or about October 29, 2015, Plaintiffs contacted the Office of the PITE DUNCAN, the attorney office that handled the JPMORGAN claim through bankruptcy proceedings, they asserted that $17,395.20 was paid through the proceedings, but since the case was dismissed, the Plaintiffs will need to contact Defendant QUALITY directly. On or about October 29, 2015, Plaintiffs’ representative (THE LAW OFFICE OF TIMOTHY L. MCCANDELSS) contacted once again the Defendant QUALITY, and spoke with Ms. CONNIE (DOE, last name was not given) at the ext. 2019 in the QUALITY’s legal department, and were asked to provide the Authorization of the Representation. On or about October 30, 2015, the Plaintiffs’ attorney presented the authorization along with the Notification of Inaccurate Arrearage along with the Bankruptcy Proceeding’s Report of Receipts and Disbursements, showing that JPMORGAN was paid in full for the arrearage amount, (See Exhibit “J” attached hereto and incorporated by reference as though set out fully herein). On or about November 6, 2015, the Plaintiffs’ attorney representative contacted Defendant QUALITY and spoke with Ms. DANIELLE and were informed that Ms. CONNIE was not available, at the same time the representative was informed that sale postponement was requested and to check back in 24 hours. On or about November 9, 2015, the Plaintiffs’ attorney representative was informed that sale of the Subject Property was placed on hold. On or about November 24, 2015, Defendant JPMORGAN returned Plaintiffs’ November 2015, mortgage payment, (See Exhibit “K” attached hereto and incorporated by reference as though set out fully herein). On or about December 11, 2015, the Plaintiffs’ attorney representative was informed that sale of the Subject Property was placed on hold, until the issue is resolved. On or about December 14, 2015, the Plaintiffs found on their property the Notice of Change of Ownership of Property, (“NOCO”), (See Exhibit “L” attached hereto and incorporated by reference as though set out fully herein). According to the NOCO the Subject Property was sold to the Defendant BRECKENRIDGE, without notice whatsoever, as of the December 11, 2015, the sale was on hold until the issue of the arrearages and proper accounting is done on the Plaintiffs’ mortgage loan account. According to the QUALITY’s sale publishing site, the Subject Property was sold to the Third Party Purchaser on December 14, 2015, (See Exhibit “M” attached hereto and incorporated by reference as though set out fully herein), the Trustee’s Deed Upon Sale was not recorded. Plaintiffs allege Defendants’ conduct impeded Plaintiffs’ ability to mitigate losses and forced them to exhaust their resources and a possibility of foreclosure. It is unknown whether any review and proper accounting on Plaintiffs’ payments made through payments to the Chapter 13 Bankruptcy Trustee, and post-petition payments since February 2011 until October 2015 ever took place as of yet. Furthermore, Plaintiffs were not provided with the specialized assistance and default loan servicing that the lender/servicer was obligated to provide that comported with the Plaintiffs’ ability to pay and that served to assist the Plaintiffs in their efforts to avoid the default and the acceleration of the subject mortgage debt and foreclosure. Defendants and/or its agents failed, refused and/or neglected to evaluate the particular circumstances surrounding the Plaintiffs’ claimed default; failed to evaluate the Plaintiffs or the Subject Property; failed to determine the Plaintiffs’ capacity to pay the monthly payment or a modified payment amount; failed to ascertain the reason for the Plaintiffs’ claimed default, or the extent of the Plaintiffs’ interest in keeping the subject property. Plaintiffs allege that Defendants, and each of them, are engaged in and continue to engage in violations of California law including but, not limited to: California Civil Code Sections 2924 et seq., 2923.5 et seq., and unless restrained will continue to engage in such misconduct, and that a public benefit necessitates that Defendants be restrained from such conduct in the future. The Gravamen of Plaintiffs’ complaint is that Defendants violated State laws which are specifically enacted to protect such abusive, deceptive, and unfair conduct by Defendants, and that Defendants cannot legally enforce a non-judicial foreclosure. Plaintiffs incorporate by reference the allegations set forth in paragraphs 1 through 69 as though set forth fully herein. Plaintiffs allege that on or about, April 7, 2004, they entered into a written contract in the form of a Note and DOT (See Exhibit “A”). Plaintiffs allege that on or about, August 13, 2010, Defendants, and each of them, breached the written contract by recording the NOD, (See Exhibit “B”) prior to performing a condition precedent in direct violation of Section “22” of the DOT, as set forth with more particularity in the above allegations herein. The Note and DOT are contracts which contain bank obligations that cannot be breached with impunity. The national banks use a DOT form approved by the federal government, i.e., Fannie Mae and Freddy Mac. The most prevalent violation that provides a client the legal basis to enjoin foreclosure is Section “22” of the DOT. Section “22” of the Trust Deed contract requires that prior to acceleration for a monetary breach, the lender must give the borrower written notice of intent to accelerate and provide a date certain not less than thirty days from the date of the notice by which a default may be cured. Plaintiffs allege that Defendant JPMORGAN and/or its agents failed to provide the notice to the Plaintiffs. Plaintiffs allege that their performance under the contract was excused because Defendants, and each of them, failed to perform the condition precedent as set forth in paragraph 31 herein. Furthermore, the default amount alleged in the NOD, (See Exhibit “B”), was cured with payments made through the proceedings of the Bankruptcy Case Number 11-12557, (See Exhibit “G”), no new NOD was ever issued or given to the Plaintiffs. Plaintiffs allege that they suffered damages including but, not limited to: the necessity of retaining an attorney to defend against the acts of nonfeasance, misfeasance and/or malfeasance by Defendants, and each of them, Plaintiffs’ right, title and interest in the Subject Property was rendered unmarketable, Defendants, and each of them, have taken actions which have subjected Plaintiffs to annoyance, anxiety, nervousness and a general feeling of malaise, the totality of which has not yet been fully ascertained, but in no event less than the jurisdictional limits of this Court. 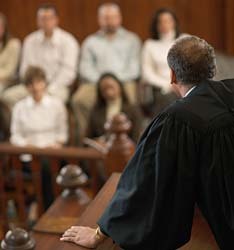 Plaintiff alleges that she suffered damages including but, not limited to: the necessity of retaining an attorney to defend against the acts of nonfeasance, misfeasance and/or malfeasance by Defendants, and each of them, loss of Plaintiff’s right, title and interest in the Subject Property, Defendants, and each of them, have taken actions which have subjected the Plaintiff to annoyance, anxiety, nervousness and a general feeling of malaise, the totality of which has not yet been fully ascertained, but in no event less than the jurisdictional limits of this Court. VIOLATION OF CALIFORNIA CIVIL CODES §2924 ET SEQ. California Civil Code Section 2924 mandates that a non-judicial trustee’s sale “SHALL NOT TAKE PLACE” unless it is done on behalf of the beneficiary of a DOT securing a Note and certain technical procedures is met. California Civil Code Section 2924 requires strict compliance to foreclose non-judicially and a trustee’s sale based on a statutorily deficient NOD is invalid. There is in existence a certain written instrument which purports to be a NOD that is in the possession of Defendants and each of them, (See Exhibit “B”). Seven years ago California enacted urgency legislation governing the trustee sale foreclosure processes. 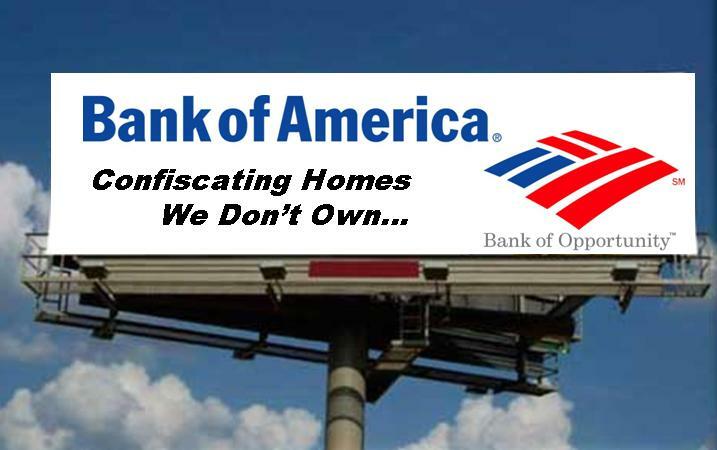 The legislation was intended to reduce foreclosures and increase workouts, loan modifications, and short sales. All provisions were initially scheduled to sunset January 1, 2013, but in 2012, the sunset date was extended to January 1, 2018, for some provisions and made indefinite for the remaining, under identical bills passed in the Assembly and Senate: Stats 2012, chs 86-87 (AB 278 and SB 900). California Homeowner Bill of Rights, the “Act” seeks to do away with a prior lender bureaucratic necessity called “ROBO-SIGNING.” The Act provides that any Declaration, Notice of Default, Notice of Sale, Assignment of a Deed of Trust, or Substitution of Trustee recorded in a foreclosure on behalf of a mortgage servicer, or a declaration filed in a Court relating to a foreclosure, must be accurate and complete and supported by reliable evidence. (Civil Code Section 2924.17(a).). In addition, before filing or recording any of these documents, the mortgage servicer shall have reviewed competent and reliable evidence that substantiates the borrower’s default and the mortgage servicer’s right to foreclose. (Civil Code Section 2924.17(b).). A Court may hold a mortgage servicer liable for a civil penalty of $7,500 per mortgage for repeated violations of this requirement. (Civil Code Section 2924.17(c).). In addition, no entity shall initiate the foreclosure process or record a Notice of Default unless and until it is the holder of the beneficial interest under the mortgage or Deed of Trust, the original or substituted Trustee under the Deed of Trust, or the designated agent of the holder of the beneficial interest. (Civil Code §2924(a)(6).). The Statute also amends provisions of the non-judicial foreclosure procedures found in California Code of Civil Procedure Section 2924 et seq., by adding requirements for meetings, due diligence, and notification of counseling. The primary purpose for the Statute is foreclosure procedures and imposes an unprecedented duty upon lenders relating to contact with borrowers. Defendants cannot prove that the non-judicial foreclosure which has commenced, strictly complied with the tenets of California Civil Code Sections 2923.5 et seq., and 2924 et seq., in order to maintain an action for possession. Thus, the Foreclosing Defendants engaged in a fraudulent foreclosure of the Subject Property in that the Foreclosing Defendants did not have the legal authority to initiate the foreclose process on the Subject Property and, alternatively, if they had the legal authority, they failed to comply with Civil Code Sections 2923.5 et seq., and 2924 et seq. As a proximate result of the negligent or reckless conduct of the Defendants’, Plaintiffs’ credit has been impaired and they are now threatened with the imminent loss of their property, despite the fact that they have been victimized by the allegations contained herein. Plaintiffs allege wrongful foreclosure by the non-judicial foreclosure was conducted because the Defendants alleged to hold a valid power of sale violated various foreclosure procedures of the Senate Bill 1137 Chapter 69 (Filed with the Secretary of State and approved by Governor Arnold Schwarzenegger on July 8, 2008 and passed the Assembly on June 30, 2008 and Senate on July 2, 2008), and amended by Senate Bill 900 Chapter 87 (Filed with the Secretary of State and approved by Governor Jerry Brown on July 11, 2012 and passed the Assembly on April 26, 2012 and Senate on July 2, 2012). Plaintiffs allege that those Defendants, and each of them, willfully, wrongfully and without justification, and without privilege conducted an invalid foreclosure sale against the Plaintiffs’ Subject Property, thereby, slandering Plaintiffs’ title thereto, at the time when they are were not in default and making payments to Defendant JPMORGAN. Here, in this case Defendant QULAITY informed the Plaintiffs that sale will be placed on hold, until the issue of the arrearages and the Bankruptcy post-petition payments is resolved. However, Defendants JPMORGAN and QUALITY deliberately, purposefully, recklessly, or negligently breached the agreement and sold the Subject Property on December 14, 2015 to Defendant BRECKENRIDGE, despite that the sale was placed on the hold, and without any notice to of the sale to the Plaintiffs. Plaintiffs allege that they fully performed the terms of the Bankruptcy Chapter 13 Confirmation Plan, which included the arrearages payments to Defendant JPMORGAN, plus all post-petition payments from February 2011 until October 2015. Therefore, there was consideration and the postponement agreement enforceable at all times relevant to this complaint. As a result of Defendants’ negligence, Plaintiffs were not provided with the specialized assistance and default loan servicing that the lender/servicer was obligated to provide. Defendants, and/or its agents failed, refused and/or neglected to evaluate the particular circumstances surrounding Plaintiffs’ claimed default; failed to evaluate the Plaintiffs or the Subject Property; failed to determine the Plaintiffs’ capacity to pay the monthly payment or a modified payment amount; failed to ascertain the reason for the Plaintiffs’ claimed default, or the extent of the Plaintiffs’ interest in keeping the Subject Property. Since the enumerated law was effective as of January 1, 2013 the foreclosure process of the Subject Property at issue is invalid pursuant to California Civil Code Sections 2923.5 et seq., and 2924 et seq., and thus the Defendants’ claim of title and allegation thereto will be erroneous. Plaintiffs allege that those Defendants, and each of them, willfully, wrongfully and without justification, and without privilege conducted an invalid foreclosure sale against the Plaintiffs’ Subject Property, thereby, slandering Plaintiffs’ title thereto. The aforementioned acts of Defendants, and each of them, were motivated by oppression, fraud, malice in that Defendants, and each of them, by their respective acts, omissions, nonfeasance, misfeasance and/or malfeasance, conducted an invalid foreclosure sale of the Plaintiffs’ Subject Property, in order to deny the Plaintiffs of their rights of possession and ownership. Based on the discussed-above numerous procedural defects in the ongoing foreclosure proceedings, Plaintiffs respectfully ask this Court to set the defective foreclosure related documents aside and declare the foreclosure proceeding unlawful. Plaintiffs incorporate by reference the allegations set forth in paragraphs 1 through 97 as though set forth fully herein. As alleged herein above, Defendants caused to be recorded a fraudulent documents, they had no authority to record, and therefore, failed to comply with the provisions of California Civil Code Section 2914.17 when they recorded the aforesaid document. As a result of Defendants’ conduct a breach of the code section, Plaintiffs have incurred expenses in order to clear title to the Property. In addition Plaintiffs have been forced as a result of Defendants’ violations to retain a law firm to enforce their rights, and have incurred and will continue to incur costs and reasonable attorney’s fees in connection herewith, recovery of which Plaintiffs are entitled to according to proof. Moreover, these expenses are continuing, and Plaintiffs will incur additional charges for such purpose until the cloud on Plaintiffs’ title to the Property has been removed. The amounts of future expenses and damages are not ascertainable at this time. Plaintiffs incorporate by reference the allegations set forth in paragraphs 1 through 102 as though set forth fully herein. The JPMORGAN received and accepted payments from the Plaintiffs while foreclosing on the Subject Property. Accordingly, the payments were essentially a “set-off” in which JPMORGAN and/or DOES 1 through 50 attempted to satisfy a portion of their debt secured by real property by attaching property other than the secured real property, i.e., the $68,444.40, Plaintiffs paid to JPMORGAN which it was not entitled to collect given the fact that that they had already chosen to foreclose on the Subject Property. Accordingly, JPMORGAN’s and DOES 1 through 50’s actions were a clear violation of the Security First Rule set forth in Code of Civil Procedure Section 726. Said violation of Code of Civil Procedure Section 726, JPMORGAN’s, and DOES 1 through 50’s refusal to return the set-off funds rendered the DOT null and void. Accordingly, JPMORGAN and/or DOES 1 through 50’s security interests in the Subject Property did not exist at the time of initiation of the foreclosure process. As a proximate result of JPMORGAN’s and/or DOES 1 through 50’s violation of the Security First Rule, Plaintiffs have suffered, and will continue to suffer, general and special damages in an amount according to proof at trial, but in no event less than the jurisdictional limits of this Court. Plaintiffs incorporate by reference the allegations set forth in paragraphs 1 through 108 as though set forth fully herein. Defendants conduct, as alleged above, constitutes fraud. Plaintiffs’ specific allegations constitute a misrepresentation and/or concealment of material fact, and/or an act designed to deceive. As alleged above, Defendants knowingly and recklessly made false and misleading on which Plaintiffs relied on their detriment, and were thereby damaged. Defendant QUALITY’s on or about November 9, 2015 and December 11, 2015, statements that Defendants would not commence the foreclosure on the Plaintiffs’, and that the sale is placed on hold until the issue regarding the arrearages and the Bankruptcy post-petition payments is resolved, constituted false statements as Defendants never intended not to proceeds with the foreclosure, while receiving the mortgage payments. In fact, each and every communication between Plaintiffs and Defendants representatives was designed by Defendants to maneuver Plaintiffs into a default situation and then to trick them into not having knowledge of the foreclosure sale of their Property. Defendants statements made to Plaintiffs through its representative, Ms. CONNIE and DANIELLE, were false and designed to lull Plaintiffs into believing that their account is review and proper accounting was taking the place. Instead of helping the Plaintiffs, Defendants were playing with Plaintiffs’ emotions. All of these representations made by each Defendants’ representatives were false and material and each Defendant knew that these material representations were false when made, or these material representations were made with reckless disregard for the truth. Defendants intended that Plaintiffs relied on these material representations. Plaintiffs’ specific allegations evidence the role of Defendant QUALITY in conspiring with Defendant JPMORGAN to defraud the Plaintiffs. As indicated therein, Defendant QUALITY expedited the foreclosure proceedings by using the 2010 NOD that was facially invalid. All of these misrepresentations and/or material non-disclosures made by each Defendant, as indicated above, were false and material. Each Defendant knew that these material representations were false when made, or that these material representations were made with reckless disregard for the truth. Defendants intended that Plaintiffs rely on these material misrepresentations and material non-disclosures, and they did, in fact, so relied. including, but not limited to, loss of money and property including but not limited to losses through overcharges and unlawfully unfavorable loan terms, incurred attorney’s fees and costs to save their Property, a loss of reputation and goodwill, destruction of credit, severe emotional distress, loss of appetite, frustration, fear, anger, helplessness, nervousness, anxiety, sleeplessness, sadness, and depression, according to proof at trial but within the jurisdiction of this Court. Plaintiffs seek equity from this Court restoring title to the Plaintiffs, and precluding any attempts by Defendants to proceed with eviction process prior to adjudication of the claims herein. As a proximate result of the Defendants’ fraudulent conduct as herein alleged, Plaintiffs were duped and are now subject to the possibility of the loss of their family residence. Plaintiffs have suffered, and will continue to suffer, damages the exact amount of which have not been fully ascertained but are within the jurisdiction of this Court. Plaintiffs are entitled to incidental and consequential expenses and damages in an amount to be shown at the time of trial. In addition, Plaintiffs have been forced to retain a law firm to enforce their rights and have incurred and will incur costs and reasonable attorneys’ fees in connection herewith, recovery of which Plaintiffs are entitled to according to proof. The Defendants’ aforementioned conduct consisted of intentional misrepresentations, deceit, and/or concealment of material facts known to Defendants with the intention on the part of Defendants of thereby depriving Plaintiffs of property or legal rights or otherwise causing injury. Defendants, and each of them, acted fraudulently, maliciously and oppressively with a conscious, reckless and willful disregard, and/or with callous disregard, of the probable detrimental and economic consequences to the Plaintiffs, and to the direct benefit of Defendants, knowing that Defendants conduct was substantially certain to vex, annoy, and injure Plaintiffs and entitle them to punitive damages under California Civil Code Section 3294, in an amount sufficient to punish or make an example of Defendants. Plaintiffs incorporate by reference the allegations set forth in paragraphs 1 through 125 as though set forth fully herein. There is and was a relationship between and among Defendant JPMORGAN, and DOES 1 through 50, and the Plaintiffs in which Lender Defendants received mortgage payments from the Plaintiffs. Furthermore Defendant JPMORGAN also collected payments pursuant to the pursuant to Chapter 13 Conformation Plan under the Bankruptcy Case Number 11-12557, (See Exhibit “G”). Defendant JPMORGAN had a legal duty to accurately and timely account for these payments and apply these payments to the trust deed mortgage. Furthermore, Defendant JPMORGAN accepted the Bankruptcy post-petition payments from February 2011 until October 2015, and had a legal duty to accurately and timely account for these payments and apply these payments to the trust deed mortgage. Only Defendants JPMORGAN, and DOES 1 through 50 have the information as to how they received, accounted for, and applied the mortgage payments tendered by the Plaintiffs in this matter. Only Defendants JPMORGAN, and DOES 1 through 50 have information as to what charges and fees and costs they added to the amounts they were demanding from the Plaintiffs and the justification for these amounts. Whann v. Doell, (1923) 192 Cal. 680, 684 and James Church v. Superior Court, (1955) 135 Cal.App.2d 352, 359 authorize an accounting when there is an unknown amount due that cannot be determined without an accounting. Anderson v. Heart Federal Savings, (1989) 208 Cal.App.3d 202, 217 entitles the Plaintiffs to a detailed and itemized accounting of the amounts actually and legally owed, particularly during a foreclosure process. This information is in possession of the beneficiary. The trustor, borrower, is under no obligation to second-guess the amount. they are demanding are in fact lawfully due. An accurate amount that the Plaintiffs owe and owed to Defendants JPMORGAN, and DOES 1 through 50 can only be determined by information in the possession of these Defendants, and by a detailed and itemized accounting. The amounts which the Plaintiffs owe is uncertain at this time and cannot be determined without an accurate, detailed, and itemized accounting. Plaintiffs incorporate by reference the allegations set forth in paragraphs 1 through 133 as though set forth fully herein. Plaintiffs allege Defendants violated California Business & Professions Code Section 17200 et seq., by engaging in unlawful, unfair and fraudulent business practices as discussed above. Specifically, as fully set forth above, Defendants engage in deceptive business practices with respect to mortgage loan servicing, assignments of notes and deeds of trust, foreclosure of residential properties and related matters by, among other things, a) Instituting improper or premature foreclosure proceedings to generate unwarranted fees; and b) Executing and recording false and misleading documents; and c) Executing and recording documents without the legal authority to do so; and d) Demanding and accepting payments for debts that were non-existent; and e) Failing to comply with California Civil Code Section 2923,5 et seq. ; and f) Failing to comply with California Civil Code Section 2924, et seq. ; and g) Misrepresenting the foreclosure status of properties to borrowers; and h) Taking of real or personal property with intent to defraud; and i) Other deceptive business practices. Plaintiffs allege that by engaging in the above described acts and/or practices as alleged herein, Defendants have violated several California laws and regulations and said predicate acts are therefore per se violations of California Business and Professions Code Section 17200, et seq. Plaintiffs allege that Defendants’ misconduct, as alleged herein, gave, and have given, Defendants an unfair competitive advantage over their competitors. The scheme implemented by Defendants is designed to defraud California consumers and enrich the Defendants. The foregoing acts and practices have caused substantial harm to California consumers. Plaintiffs allege that as direct and proximate result of the aforementioned acts, Defendants have prospered and benefitted from the Plaintiffs by collecting mortgage payments and fees for foreclosure related services, and have been unjustly enriched from their act of engaging in foreclosure process on Plaintiffs’ home when they had agreed not to do so and/or to do so in compliance with applicable laws. By reason of the foregoing, Defendants have been unjustly enriched and should be required to disgorge their illicit profits and/or make restitution to the Plaintiffs and other California consumers who have been harmed, and/or be enjoined from continuing in such practices pursuant to California Business & Professions Code Sections 17203 and 17204. Additionally, the Plaintiffs are therefore entitled to injunctive relief and attorney’s fees as available under California Business and Professions Code Section 17200 and related sections. Plaintiffs incorporate by reference the allegations set forth in paragraphs 1 through 141 as though set forth fully herein. Defendants intentionally, knowingly and recklessly misrepresented to the Plaintiffs, that Defendants were entitled to exercise the power of sale provision contained in the DOT. In fact, Defendants were not entitled to do so and have no legal, equitable, or actual beneficial interest whatsoever in the Property. Defendants’ conduct – fraudulently engaging in foreclosure process on the property in which they had no right, title, or interest – was so outrageous and extreme that it exceeds all bounds which are usually tolerated in a civilized community. Such conduct was undertaken with the specific intent of inflicting emotional distress on the Plaintiffs, such that Plaintiffs would be so emotionally distressed and debilitated that they would be unable to exercise legal rights in the Property; the right to title of the Property, the right to cure the alleged default, right to verify the alleged debt that Defendants are attempting to collect, and right to clear title to the Property such that said title will regain its marketability and value. At the time, when Defendants began their fraudulent foreclosure proceedings, Defendants were not acting in good faith while attempting to collect on the subject debt. Defendants, and each of them, committed the acts set forth above with complete; utter and reckless disregard of the probability of causing homeowners to suffer severe emotional distress. As an actual and proximate cause of Defendants’ fraudulently foreclosed on the Plaintiffs’ home, the Plaintiffs have suffered severe emotional distress, including but not limited to lack of sleep, anxiety, and depression. Plaintiffs did not default in the manner stated in the NOD, yet because Defendants’ outrageous conduct, the Plaintiffs have been living under the constant emotional nightmare of losing the Property. As a proximate cause of Defendants’ conduct, Plaintiffs have experienced many sleepless nights, severe depression, lack of appetite and loss of productivity. The conduct of Defendants, and each of them, as herein described, was so vile, base, contemptible, miserable, wretched, and loathsome that it would be looked down upon and despised by ordinary people. Plaintiffs are therefore entitled to punitive damages in an amount appropriate to punish Defendants and to deter other from engaging in similar conduct. Plaintiffs incorporate by reference the allegations set forth in paragraphs 1 through 151 as though set forth fully herein. Based on the numerous violations of California law as outlined in this complaint, the Trustee’s Sale upon which the Defendants currently base their title is void. Only a properly conducted foreclosure sale, free of substantial defects in procedure, creates rights in the high bidder at the sale. California case law provides that a purchaser at a trustee’s sale takes no title if the sale is void. See, In re Schwartz (1992) 954 F.2d 569 (bankruptcy stay violation); Bank of America v. La Jolla Group, II, (2005) 129 Cal.App.4th 706. This is so, in part, because the trustee’s sale and deed were void, and thus, of no effect. (4 Miller & Starr, Cal. Real Estate, 10:211, p. 651.) In the event that a trustee’s sale of real property is determined to be invalid and void, an outside bidder who purchases at that trustee’s sale is entitled to a return of its bid price, plus 7% interest thereon from the foreclosing lender and/or foreclosure trustee. Plaintiffs are informed, believes and thereon alleges that the December 14th, 2015 trustee’s sale of the Subject Property is void and invalid in the light postponement agreement pursuant to California Civil Code Section 2924g(c)(1)(C). Therefore, the trustee’s sale should be set aside in the interest of justice and Defendant BRECKENRIDGE is entitled to the monetary compensation described in the paragraph above. As a direct and proximate result of this breach, Plaintiffs have lost possession of her family home, and will incurred significant attorney’s fees in defending an unlawful detainer action which will be brought by BRECKENRIDGE, lost substantial equity in the property, and suffered damages emotional distress in an amount to be proven at trial, including attorney’s fees and costs. Plaintiffs incorporate by reference the allegations set forth in paragraphs 1 through 156 as though set forth fully herein. As discussed above, the foreclosure related documents recorded in the County Recorder’s Office, cannot lead to a valid foreclosure on behalf of Defendants, because neither could have acceded to the beneficial interest in the Plaintiffs’ DOT from WAMU nor is there any other validly recorded document making it the beneficiary. Thus, the foreclosure related documents were invalid and false. Defendants acted with malice and a reckless disregard for the truth by simply assuming they were the beneficiaries under Plaintiffs’ DOT and causing a false foreclosure related documents to be recorded that cannot lead to a valid foreclosure. Defendants’ causing the recordation of the foreclosure related documents, was therefore false, knowingly wrongful, without justification, in violation of statute, unprivileged, and caused doubt to be placed on Plaintiffs’ title to the Property. The false recordation of the foregoing documents directly impairs the vendibility of Plaintiffs’ Property on the open market in the amount of a sum to be proved at trial. The recording of the foregoing document made it necessary for the Plaintiffs to retain attorney and to bring this action to cancel the instruments casting doubt on the Plaintiffs’ title. Therefore, the Plaintiffs are entitled to recover the attorney’s fees and costs incurred in cancelling the instrument. The exact amount of such damages is not known to the Plaintiffs at this time, and the Plaintiff will move to amend this complaint to state such amount when the same becomes known, or on proof at the time of trial. Plaintiffs incorporate by reference the allegations set forth in paragraphs 1 through 160 as though set forth fully herein. Plaintiffs are, and at all times herein mentioned were, the owners in fee simple of the Subject Property legally-described hereinabove in paragraph 10. The basis of Plaintiffs’ title is her original DEED, (See Exhibit “N” attached hereto and incorporated by reference as though set out fully herein). The Plaintiff is seeking to quiet title against the claim of Defendants [including BRECKENRIDGE] as follows: Defendants, who claim some right, title, estate, lien, or interest in and to the lands of the Plaintiffs as described in this Complaint based on the purported sale, and the claims of all unknown Defendants described hereinabove, whether or not the claim or cloud is known to the Plaintiffs. Defendants’ claims are without any right, title, estate, lien, or interest whatever in the above-described property, or any part of that property. The Defendants named as “all persons unknown, claiming any legal or equitable right, title, estate, lien, or interest in the property described in the complaint adverse to Plaintiff’s title, or any cloud on Plaintiffs’ title thereto” (sometimes referred to as the “unknown Defendants”) are unknown to the Plaintiffs. These unknown Defendants, and each of them, claim some right, title, estate, lien, or interest in the previously-described property adverse to Plaintiffs’ title; and each of them constitute a cloud on the Plaintiff’s title to that property. Plaintiffs were seized of the above-described property within five years of the commencement of this action. Clear title may not derive from a fraud, including a bona fide purchaser for value. In the case of a fraudulent transaction, California law is settled. Plaintiffs allege that the Trustee’s Sale in this case was tainted by fraud and therefore no good title passed to Defendant BRECKENRIDGE, notwithstanding their position that they will be receiving any day the Trustee’s Deed Upon Sale, (“DTUS”) from Defendant QUALITY. Plaintiffs are willing to tender the amount received subject to equitable adjustment for the damage caused to the Plaintiffs by the Defendants’ activities. Plaintiffs seek to quiet title in their favor as of December 14th, 2015, the date of the fraudulent and illegal trustee’s sale of their property and the issuance of a void TDUS. 11) For attorney’s fees as may be allowed by law; 12) Any other further relief this Court deems equitable and proper. Plaintiffs’ loan beneficiary and servicer was Washington Mutual Bank, (“WAMU”). On or about Thursday, September 25, 2008, the United States Office of Thrift Supervision seized Washington Mutual Bank from Washington Mutual, Inc., and placed it into the receivership of the Federal Deposit Insurance Corporation. On same day the Federal Deposit Insurance Corporation sold the banking subsidiaries to JPMorgan Chase Bank, National Association, (“JPMORGAN”). LSI Tile Company at the present time, is named herein solely to establish the Court’s jurisdiction over it, and specifically for purposes of establishing a timeline and events for Plaintiffs’ causes of action alleged herein. Real Estate Law Center files lawsuits on behalf of plaintiff homeowner(s) in State or Federal Court. We file actions on an individual basis. ROSENTHAL FAIR DEBT COLLECTION PRACTICES ACT (VIOLATION OF CAL. CIV. CODE § 1788 et. Seq.) – If the servicer has been calling the Plaintiff in an attempt to collect on the loan when they are not supposed to. For example, calls before 8 am or after 9 pm or calling neighbors, friends or family. Double collection also pertains to this action. Double collection is when the lender servicing the loan transfers the loan and both the old and new servicer attempt to collect the same payment. BREACH OF CONTRACT – An example of breach of contract could be when the servicer has breached a loan modification agreement or not offered a permanent modification after the trial payment plan has ended even though the Plaintiff has abided by the terms of the trial payment plan. Plaintiff, FAYE MYRETTE CROSLEY, (hereinafter referred to as “Plaintiff”) is the Debtor in the underlying bankruptcy case and reside at 6262 Highland Avenue, Richmond, California 94805. Defendant OCWEN LOAN SERVICING, LLC, (hereinafter referred to as “OCWEN”) is a Delaware limited liability corporation with its principal place of business in West Palm Beach, Florida, and was at all times herein mentioned, engaged in business as a bank and/or servicer of mortgage loans in the County of Contra Costa, State of California, including Plaintiff’s loan file, Note and DOT. Defendant RESIDENTIAL CREDIT SOLUTIONS, INC., (hereinafter referred to as “RESIDENTIAL”) is a Delaware corporation with its principal place of business in Fort Worth, Texas, and was at all times herein mentioned, engaged in business as a bank and/or servicer of mortgage loans in the County of Contra Costa, State of California, including Plaintiff’s loan file, Note and DOT. Defendant DITECH FINANCIAL, LLC, (hereinafter referred to as “DITECH”) is a Delaware limited liability corporation with its principal place of business in Saint Paul, Minnesota, and was at all times herein mentioned, engaged in business as a bank and/or servicer of mortgage loans in the County of Contra Costa, State of California, including Plaintiff’s loan file, Note and DOT. Defendant LAW OFFICES OF LES ZIEVE, (hereinafter referred to as “LES ZIEVE”) is a California corporation, with its principle place of business in Irvine, California, on information and belief and at all times mentioned in this Complaint was engaged in the business of litigation, bankruptcy, evictions, loss mitigation, loss prevention, title claims, and all other aspects of creditor rights, including foreclosure, and acting as trustee for banks, mortgage holders and lien holders in the county of Contra Costa, California. Plaintiff is ignorant of the true names and capacities of Defendants sued herein as DOES 1 through 50, inclusive, and therefore sues these Defendants by such fictitious names and all persons unknown claiming any legal or equitable right, title, estate, lien, or interest in the property described in this complaint adverse to Plaintiff’s title, or any cloud on Plaintiff’s title thereto. Plaintiff will amend this complaint to allege their true names and capacities when ascertained. Plaintiff is informed and believes and therefore alleges that at all times mentioned, each Defendant was the agent and employee of the remaining Defendants, and in doing the things alleged, was acting within the course and scope of that agency and employment. Jurisdiction of this Court is proper pursuant to 28 U.S.C. § 157 (b)(1) in that this action arises under the Chapter 7 bankruptcy case In re FAYE MYRETTE CROSLEY filed in this district and division at docket 16-40003 WJL-7 and is a core proceeding. ALL OF LOT 32 AND THE SOUTHEASTERN 20 FEET (FRONT AND REAR MEASUREMENTS) OF LOT 31, IN BLOCK 99, AS SHOWN ON THE MAP ENTITLED, “MAP OF EAST RICHMOND HEIGHTS TRACT NO. 2, CONTRA COSTA COUNTY, CALIFORNIA”, FILED ON FEBRUARY 2, 1911 IN THE OFFICE OF THE COUNTY RECORDED OF SAID COUNTY, IN BOOK 4 OF MAPS, PAGE 90. On or about September 9, 2015, Plaintiff filed a case against Defendants in the Superior Court of California, Contra Costa County, Case No. : CIVMSC15-01688, for violation of the California Home Owners Rights, beach of loan modification contract, elder abuse, violation of Rosenthal Fair Debt Collection act, slender of tile. Defendant OCWEN were represented by Defendant LES ZIEVE. Furthermore Defendant LES ZIEVE was the foreclosure trustee and agent for current beneficiary or loan servicer under Plaintiff’s Note and DOT, for which Plaintiff was unaware, nor has she received any notices regarding the change of the beneficiary or the loan servicer, under her Note and DOT. The sale of the Subject Property was scheduled for January 4, 2016. On December 31, 2015, Plaintiff informed her counsel in the case filed in Contra Costa County, that she will be filing for protection under the bankruptcy Chapter 7, to stop the Subject Property. Thereafter, Mr. Timothy L. McCandless, the Plaintiff’s counsel informed Defendants’ counsel Mr. Ryan K. Woodson of Plaintiff’s intentions and her filing for the protection under the bankruptcy Chapter 7. See Declaration of Mr. Timothy L. McCandless a true and correct copy of which is attached hereto and incorporated by reference as EXHIBIT 1, In re FAYE MYRETTE CROSLEY filed in this district and division at docket 16-40003 WJL-7 # 18. Plaintiff filed her Chapter 7 case on January 4, 2016. An order for relief was entered in this case on January 4, 2016, pursuant to 11 U.S.C § 301, thus triggering an automatic stay, pursuant to 11 U.S.C. § 362(a) of all debt collection against the Debtors. Plaintiff’s counsel Mr. Timothy L. McCandless, instructed his assistant Mr. Eric Santos, to be present at the scheduled sale of Plaintiff’s property at place of the sale, Pleasant Hill Community Center, 320 Civic Drive, Pleasant Hill, California 94523, and once he receives info from Plaintiff and her bankruptcy filing, to inform the party conducting the sale and all potential buyers, that Plaintiff had filed for the protection under bankruptcy Chapter 7 filing, and that the sale of her property will be in violation of bankruptcy stay if conducted, See EXHIBIT 1. Eric Santos, per the instruction, informed the person handling the sale of the Subject Property, and was informed that the sale was canceled. See Declaration of Mr. Eric Santos a true and correct copy of which is attached hereto and incorporated by reference as EXHIBIT 2, In re FAYE MYRETTE CROSLEY filed in this district and division at docket 16-40003 WJL-7 Dkt. # 19. Notwithstanding the fact that notice of filing for protection under Chapter 7 was given to Defendants timely, the Subject Property was auctioned on January 7, 2016, Seecom web site printout a true and correct copy of which is attached hereto and incorporated by reference as EXHIBIT 3. On or about January 13, 2016, Plaintiff received letter and 3-Day Notice to Vacate from COMMUNITY as the new owner of the Subject Property, See letter dated January 13, 2016 along with 3-Day Notice to Vacate a true and correct copy of which is attached hereto and incorporated by reference as EXHIBIT 4. The fees that Defendants caused to be assessed against the Subject Property and which it attempted to collect from the Plaintiff were never disclosed to the bankruptcy court. The Defendants’ conduct has caused Plaintiff to experience worries and concerns that are separate from the anxiety she felt about the bankruptcy. Plaintiff’s reactions and emotions were not fleeting or inconsequential. Plaintiff suffered significant emotional harm as a result of Defendants’ conduct in willfully violating the automatic stay. The circumstances surrounding the violation make it obvious that a reasonable person would suffer significant emotional harm. Plaintiff suffered actual damages in the forms of out-of-pocket expenses, attorney’s fees, and emotional distress. This case presents the Court with a classic example of the tangled web that the mortgage industry has created that to their chagrin has left them without the lawful ability to foreclose on a property they claim a home loan is secured by. In addition, the case also presents this Court with a classic example that this lenders play with regard to the governmental mandate to engage in loan modification and their refusal to do so, all the while leading the borrowers such is Plaintiff in this instant case, to believe he or she has a loan modification, only to be ambushed with a foreclosure. The foregoing paragraphs are incorporated herein by reference. Defendants’ conduct violated 11 U.S.C. § 362(a). WHEREFORE, Plaintiff requests an Order declaring the Defendants are guilty of civil contempt by violating the automatic stay; and awarding Plaintiff compensatory damages, punitive damages, and costs pursuant to 11 U.S.C. § 362(k) and for contempt of Court. Defendants’ stay violation was willful. Defendants’ counsel was also aware of the bankruptcy filing; in fact Defendants’ agent was repeatedly warned by the Plaintiff’s attorney that sale of the subject property would violate the automatic stay and will not be warranted. Defendants’ acts were willful, shameless, deliberate, calculated, scheming, intentional, and done with complete and total disregard for the financial and emotional harm that would befall the Plaintiff, despite her protected status of senior citizen, and despite the fact that she was caregiver to her 51 year old daughter legally blind and deaf and in wheelchair. WHEREFORE, Plaintiff requests an award of damages fees pursuant to 11 U.S.C. § 362(h). This outcome has been created without any right or privilege on the part of the Defendants, and, as such, their actions constitute outrageous or reckless conduct on the part of Defendants. Defendants’ conduct – fraudulently engaging in the foreclose process and foreclosing on the Subject Property in which they had no right, title, or interest – was so outrageous and extreme that it exceeds all bounds which are usually tolerated in a civilized community. Such conduct was undertaken with the specific intent of inflicting emotional distress on the Plaintiff, such that Plaintiff would be so emotionally distressed and debilitated that she would be unable to exercise legal rights in the Property; the right to title of the Property, the right to cure the alleged default, right to verify the alleged debt that Defendants are attempting to collect, and right to clear title to the Property such that said title will regain its marketability and value. At the time, when Defendants began their fraudulent foreclosure proceedings, Defendants were not acting in good faith while attempting to collect on the subject debt. Plaintiff’s home and in violation of automatic stay, the Plaintiff has suffered severe emotional distress, including but not limited to lack of sleep, anxiety, and depression. The conduct of Defendants, and each of them, as herein described, was so vile, base, contemptible, miserable, wretched, and loathsome that it would be looked down upon and despised by ordinary people. Plaintiff is therefore entitled to punitive damages in an amount appropriate to punish Defendants and to deter other from engaging in similar conduct. 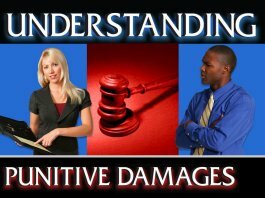 WHEREFORE, Plaintiff requests an award of damages for intentional infliction of emotional distress. Plaintiff is entitled to attorney’s fees pursuant to 11 U.S.C. § 362(k). WHEREFORE, Plaintiff requests an award of reasonable attorney’s fees pursuant to 11 U.S.C. § 362(k).